As the summer breeze turns slightly chilly, there is no better time than now to enjoy the cultural events we offer. Our Japanema cinema screening is making trips outside our LA home, trying to reach a wider audience. 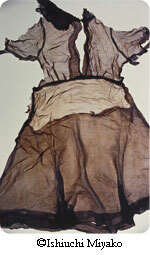 "Postwar Shadow," a collaborative exhibition with the Getty Museum opens its door to the public in a few days. The exhibition features an internationally renowned Japanese photographer Ms. Ishiuchi Miyako and her prolific body of work, as well as the works of five other female Japanese photographers of younger generations. 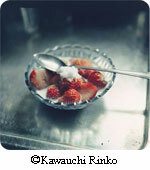 Do not miss this rare opportunity to take a glimpse of a diverse artistic expression of Japanese photography. For those who will not be able make it to these events, I still have several important messages to deliver. 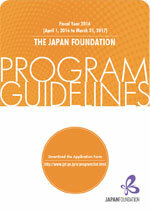 The guidelines for the 2016-2017 Japan Foundation grant programs have been announced and if you are interested in applying for a grant in the fields of arts & culture, academic studies, and Japanese language education, please review our grants carefully and let us know if you have any questions and concerns. Also, we have just announced the call for application for our J-LEAP (Japanese Language Education Assistant Program) program, which will send native Japanese Language Assistant Teachers (ATs) to select organizations across the country interested in hosting them. This program is currently in its 5th year and has proven to be a great learning opportunity for not only the ATs and the students who are taught by them, but also for the host teachers in terms of the various training sessions that the Program provides for them. So if you are a teacher of Japanese language and interested in honing your team-teaching skills, please give this opportunity a serious thought. Last but not the least, I would like to direct your attention once again to our Facebook page for updates that this monthly newsletter cannot cover in a timely fashion. In order to make sure you’re seeing posts from JFLA in your Facebook News Feed, just click on the "Liked" button at the top of our Facebook page and select "Get Notifications" from the dropdown menu. There is also a feature in the same menu called "See First". Click both and we will stay better connected. Free to Attend, RSVP Required! A Letter to Momo was seven years in the making. The handmade animation is superb, from the painstakingly rendered serenity of the island's Shinto shrines to the climactic finale – a frantic chase featuring thousands of squirming, morphing ghosts and spirits that is the best cinematic flight of supernatural fancy in years. This event is supported by Japan Business Association of Southern California(JBA). FY2016-17 Program Guidelines are NOW Available! For information on Arts and Culture Programs, please visit our website with additional information on the JF world-wide website! For information on Japanese Language Programs, please visit Teacher Training Program at the Japanese Language Institute, Urawa, or Japanese Language Program for Specialists in Cultural and Academic Fields at the Japanese Language Institute, Kansai. There are multiple programs including long-term, short-term, advanced and graduate for the teacher program and 2-month and 6-month courses for the specialist program. Your application must ARRIVE at JFLA on or before the deadline. Please notify us of your application in advance. The Japan Foundation does a massive global survey every three years to gather information about Japanese language education, and the time has come again. 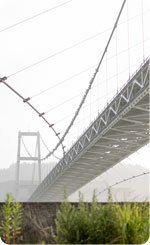 For some of the results from the 2012 Survey, click here. 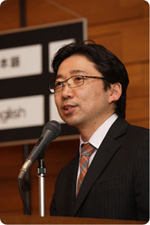 Earlier this month, JFLA staff started emailing and calling every school which teaches Japanese in the US. We are asking one person from every school to fill out one 15-minute online survey about global issues and one 3-minute supplementary survey about issues in the United States. We acquired several new books in English and Japanese during the past few months and below is a list of what we added. There are books in English focusing on upcoming events we are organizing such as Ishiuchi Miyako, as well as new Japanese manga, children's books, and DVDs. Make sure to drop by and apply to become a member if you haven't already done so. Our annual library membership fee is only $2 and you get a free cloth book bag. On September 16, 2015, Consul General Furusawa from the Consular Office of Japan in Portland visited Yujin Gakuen Elementary (Eugene, OR) and presented the Japan Foundation's grant check to Principal Piowaty in support of their Japanese language immersion program. Students welcomed Consul General Furusawa and performed a Japanese song at the grant ceremony. On August 25, 2015, the Consulate General of Japan in Detroit presented the Japan Foundation's grant check to Cuyahoga Community College. Our grant will be used for expanding their Japanese language program!